Bullies called her 'blubber' and locked her in a cupboard. 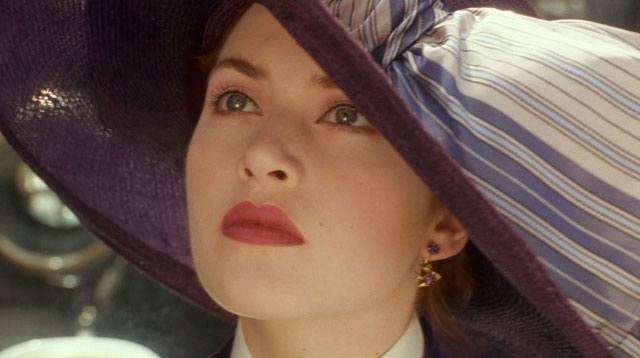 If Kate Winslet had listened to the bullies, Titanic would've looked very different. The Oscar-winner has revealed that she almost put off acting after being fat-shamed at school. And the teasing got so bad, that bullies nicknamed her "blubber" and locked her in a cupboard. Speaking at a charity event in London, Kate said she was made to feel that "she wasn't enough" because of her body. "I was even told that I might be lucky with my acting," she told the WE Day UK audience. "If I was happy to settle for the fat girl parts." "I didn't look right," she added. "And all because I didn't fit into someone else's idea of 'perfect.' I didn't have the perfect body." But, luckily she didn't give up on her ambition of becoming an Oscar-winning actress. "I was always auditioning for the school plays," Kate recalled. "I didn't really get very good parts, mind you, but I didn't mind. I didn't care. I would often get cast as the crocodile or the scarecrow or the dark fairy. I was even a dancing frog once." "But it didn't matter. I still loved it. I loved acting. It didn't matter how big or small the parts were. I wanted to be great, and I was determined to keep learning." Then, when she was cast as Rose DeWitt-Bukater in Titanic opposite Leonardo DiCaprio, Kate had the last laugh. "The most unlikely candidate, Kate from the sandwich shop in Reading, suddenly acting in one of the biggest movies ever made!" And she's kept on laughing, 79 award nominations and an Oscar later. Kate's advice for anyone who's made to feel rubbish? "You can be from anywhere, and you can do anything. Believe it." Amen.